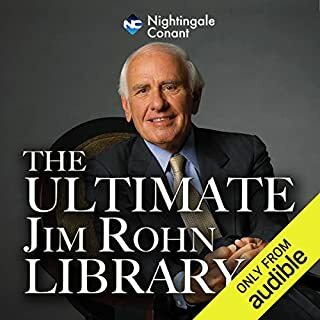 This THE ultimate Jim Rohn. so much great and practical information all in one spot. This should be in everyone's library. Wow, this book is amazing. 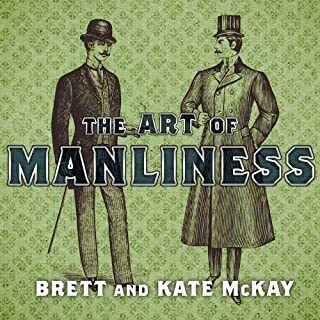 Every boy and man should be required to read this book. This covers pretty much everything a man needs to know. Dr. Broder says you can do it. You can master the power of positive thinking. You can become an inspiration to others - a successful, high-energy person. You can do it by learning the techniques of positive attitude training. 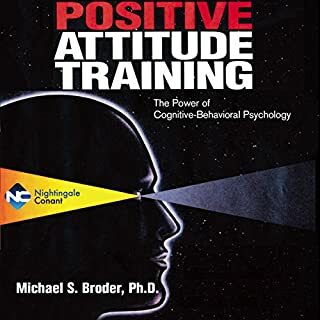 Positive attitude training is grounded in a revolutionary branch of psychology called cognitive behavioral theory. It was straight forward and to the point. I'll be listening to this again. Very thought provoking. When I saw this I wasn't sure I would like it, but it is great. 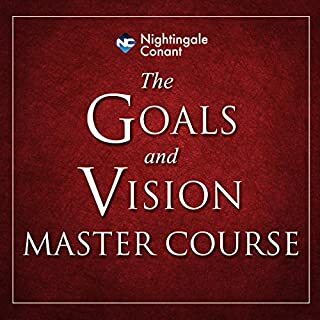 I like how they have broke down the subject of Vision and setting goals and use different authors and speakers to really drive the point home. They take take the best on each subject and put into one place. 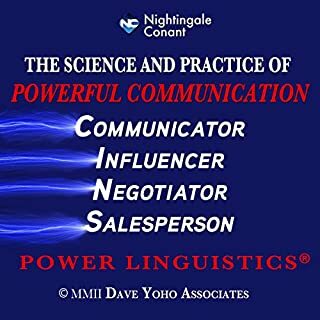 This audio is the outgrowth of a 17-year study on communication by Dave Yoho which created the Power Linguistics™© program. Plus, in a special bonus, understand the core of and the many reasons for the success of Abraham Lincoln at Gettysburg, Dr. Martin Luther King on the bridge in Birmingham, Alabama, Winston Churchill in World War II and Mother Teresa in India. Choose your words with intent. This is a very dry book, but the information is amazing. I wanted to return it because of how dull it is, but you could not ask for better material anywhere. The cut out the bull and give you incredible material. This is the best devotional I have ever heard or read. There is nothing but Scripture verses, but the way they do it is absolutely terrific. Definitely worth getting. I highly recommend this book. 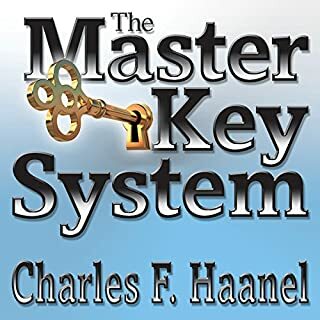 Well worth the time, wonderful insights and very applicable to every day life. Dolf will cover everything - from what rich people think about work/life balance, economic conditions and world events, lifestyle, running a business, career success, parenting, and more. You'll soon find yourself attracting more money, more opportunities, and more time for your family than you ever dreamed was possible. And it's truly as simple as adopting the psychology of the mega-rich! 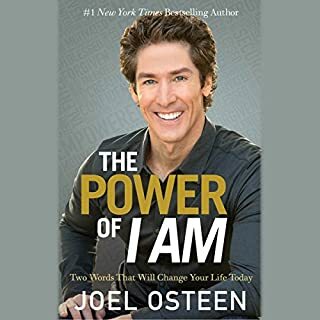 Where does Wealth Maker System rank among all the audiobooks you’ve listened to so far? This is a must have. 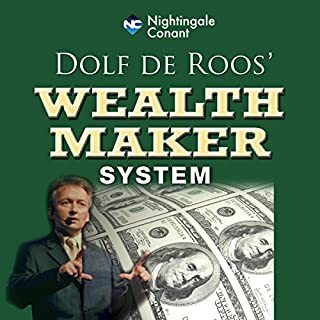 I have been looking for Dolf De Roos' Wealth Magnet system and this is the first part of it. It is definitely worth it, just for that. After that is a series of interviews with a lot of different financial experts. Some applies to me, some doesn't, but it is a wealth of information that can be applied to many different areas! What does Dolf De Roos bring to the story that you wouldn’t experience if you just read the book? I enjoy listening to him talk and place the emphasis where he thinks it should go. He keeps it simple, to be able to actually use in life. 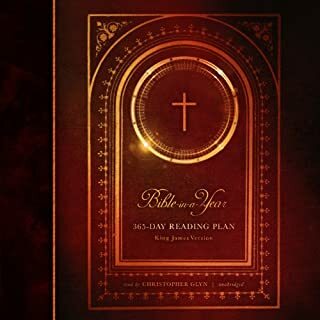 This Bible-in-a-Year King James Version of the Holy Bible is organized into 364 daily audios. 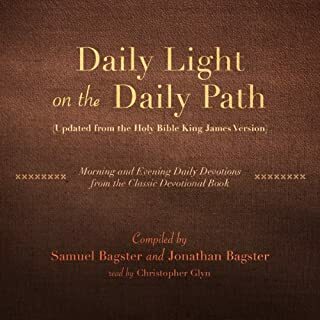 English speakers around the world are praising this new recording of the King James Bible by British narrator Christopher Glyn, who draws on 35 years of experience as a Christian narrator and broadcaster to bring you this expressive reading of the King James Bible that captures the beauty and power of God's word in easy-to-understand language. A nice variety. Every day of the week has a different section of the Bible.